Qantas has confirmed an order for eight Boeing 787-9 Dreamliners and will return $505 million to shareholders after reporting a return to profitability in 2014/15. The airline group reported a statutory net profit after tax of $557 million for the 12 months to June 30 2015, a multi-billion dollar turnaround from the $2.853 billion loss in the prior year. The result was broadly in line with market estimates of net profit in the vicinity of $600 million. Underlying profit before tax, which the airline regards as the best indication of financial performance, rebounded strongly in 2014/15 to $975 million, compared with the $646 million pre-tax loss in the prior corresponding period. Analysts had expected Qantas to post an underlying profit before tax of close to $1 billion for the 12 months to June 30. Qantas said it had achieved $1.1 billion in cost cutting in its $2 billion transformation program that was announced in December 2013, including $894 million in 2014/15. “We are halfway through the biggest and fastest transformation in our history,” Qantas chief executive Alan Joyce said in a statement. Revenue rose three per cent to $15.8 billion, Qantas said on Thursday. Qantas said it would order eight 787-9s, with the first four to arrive in the 2017/18 financial year and the next four in 2018/19. The Dreamliners would gradually replace five of the airline’s Boeing 747-400s. The airline group said it had 15 further options and 30 purchase rights for more 787s. “This milestone acquisition marks the scale of our turnaround and looks ahead to a new era for our iconic international airline,” Joyce said. Joyce had set out three criteria for any potential Dreamliner order, namely Qantas International’s return to sustainable profitability, repaying $1 billion of debt and establishing appropriate staff conditions to ensure the business case for the new aircraft type stacked up. Qantas said it would conduct $505 million capital return to shareholders, equivalent to 23 cents per share, by November. The payment was subject to shareholder approval at the company’s annual general meeting in October. All of Qantas’s operating segments were profitable in 2014/15. Qantas Domestic reported underlying earnings before interest and tax (EBIT) of $480 million, compared with $30 million in the prior year. Meanwhile, Qantas International posted underlying EBIT of $297 million, a turnaround from an underlying EBIT loss of $497 million in 2013/14. Underlying EBIT for the Jetstar group of airlines came in at $230 million, a turnaround from a loss of $116 million in the prior corresponding period. While Qantas did not offer profit guidance for the first half of 2015/16, the company did offer some capacity forecasts for the period ahead. Qantas and Jetstar’s domestic capacity was expected to increase between zero and one per cent in the first half of 2015/16, reflecting the flat capacity growth from all of the nation’s domestic carriers in recent times. Overall, the airline group expected to boost capacity by between three and four per cent in the first half 2015/16. Qantas executives were due to hold a media conference later on Thursday. Well I’ll be damed, Alan Joyce said that once Qantas International was in a position to be profitable again, that he’ll order the Dreamliner……& guess what, he’s a man of his word. Good to see, plus it appears the Boeing approach of more smaller planes vs. Airbus’s fewer big planes is winning out. Going to miss the 747s though. Thank you. It was indeed $30 million. The story has been fixed. The QANTAS Domestic EBIT of A$30B in FY13/14 is suspect! Revenue perhaps? Anyway it is good to see QANTAS investing in replacement aircraft. The Board and Management are demonstrating their confidence that it will remain an ongoing business to shareholders. If Qantas & Jetsar domestic capacity in first half 15/16 due to increase 0-1%, what is it that will cause group capacity to increase 3-4% in the same period? This should prob read $30m: Qantas Domestic reported underlying earnings before interest and tax (EBIT) of $480 million, compared with $30 billion in the prior year. This is absolutely wonderful news. 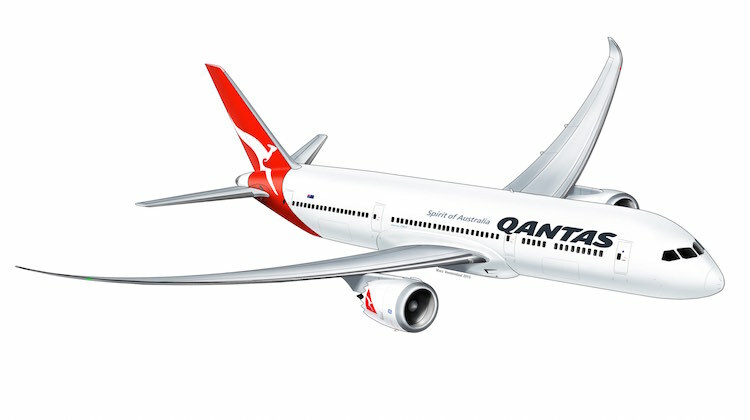 This confirmation only further allows Qantas to catch up and compete effectively with its fellow large-scale international airlines with a new, modern, efficient and comfortable fleet of aircraft. So the initial order is 8 B789 and will replace 5 B744. That leaves 4 ERs to service Joburg and another destination. Perhaps BNE-LAX. So where are all those QF and AJ bashers now….??? A little bit quiet NOW aren’t you?? great job QF, here is to a sustainable future with growth, nice to hear some good news for a change…. Although I’m sure the QF haters (aka the media) won’t take long to put a negative spin on results….. I would have thought the 787 would have replaced the 767 not the 747. It’s amazing what can happen at Qantas when Joyce & the senior team stop running around with crazy ideas like RedQ and actually get on with running an airline. The past year or two has seen a major change in QF management’s approach and it is paying off. Between the focus on basics, the cuts and the hook up with Emirates, they’re finally starting to turn the corner. Great result and great to see the QANTAS Team enjoying some success. Lets hope that this finally shuts down the negativity from the previous CEO and management elements, those involved with the private equity debacle, and the union leaders that actually cost jobs for their constituents. Isn’t it a wonderful thing when the team works together – Air New Zealand have been doing it for years. More planes in replacement either means more frequencies or more city pairs. Would be interested to know if QF international is considering exploring more as-yet un-serviced routes? QF do not operate B767 as pax. aurcraft, they have one B767 as freighter. Mostly Loyal to Virgin, but you have to tip your hat off to Alan Joyce. This has not been without critics though, as usual Tony Sheldon have put in his two cents….. And as usual, it’s negative. Does that man ever have anything positive to say?! It is a very good result. It will be interesting to see what Air NZ announces next Wednesday. On my basic calculations, Qantas’ EBIT is about 100 million or so more than the combined EBIT of Air New Zealand*, Etihad and Singapore Airlines.. Net though is a different story. I wonder if an order for the B78X will be made in the next year or so? * The Air New Zealand figure used was the half yearly result multiplied by 2. The 767’s were replaced with ex Jestar A330s when Jestar received their Dreamliners. Roughly speaking as i am not across the exact numbers without some thorough research i am sure you guys are across with this info. It would have been interesting to see what was in that book never to be released that was settled for never to be published recently. So, is the huge turnaround just a result of AJ’s magnificence, or was it in a big part due to significantly lower oil prices this year vs previous & all the withheld asset depreciation that was written off last year to generate a BS massive loss from which to turnaround from this year & claim glory ?? It is good to see them finally order new aircraft of the right type & size though. But, was any mention made of the remaining (8) firmly committed A380’s, and the mess that is bound to create when Airbus forces them to take or sues QF ?? Or, is that being swept under the carpet till after the Board reaps their outlandishly large bonuses (again) this year ?? Flyradar, they could easily dump those A380’s onto Emirates since they’re ordering like 100 of em……what’s 8 more ? Craigy, none of the ER’s i suspect will be retired. QANTAS will be retiring OJM, OEB, OJT, OJU and OJS. And OJM is retiring this Financial Year. On page 15 it says 1 B747-400 is be retired this year. So technically the 787-9s are replacing 4 B747s because the only need 10 to maintain the current network. Craigy, there are 6 Qantas 747-400ER’s, not 4, and rather newer than the 400’s. (These 6 ER’s are the only ones in the world, by the way.) Looks like the 8 delayed A380’s, or a lesser number, negotiated, might replace these.